SFBI - Welcome to SMS24/7 Smart Job Info! 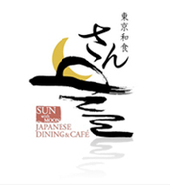 Established in 2004 with bases in Hong Kong, Singapore, Shanghai, and elsewhere, the SFBI Group directly manages and operates franchises of fast foods and directly manages the SUN casual Japanese dining restaurant chain in the growing markets of Singapore and other Asian countries. And the concept Japanese Kushikatsu Izakaya Restaurant has opened in Dec 2017. Click for more details of these vacancy above. SUN with MOON Japanese Dining & Cafe, the epitome of Japanese savoir faire, is a combination of a dining concept and a cafe concept, represented respectively by the two elements of nature.Our menu sees a wide variety of authentic traditional Japanese dishes alongside an array of modern Japanese dishes thoughtfully created by our Exective Chef.Mr.Toshio Sawai.Every detail of our restaurants are given the utmost attention to appeal to all the sense from the fashionable setting and spacious open kitchen, to food presentation and elaborate tableware. Interested applicants, please check and register your apply even if you do not wish to apply for an interview right away.